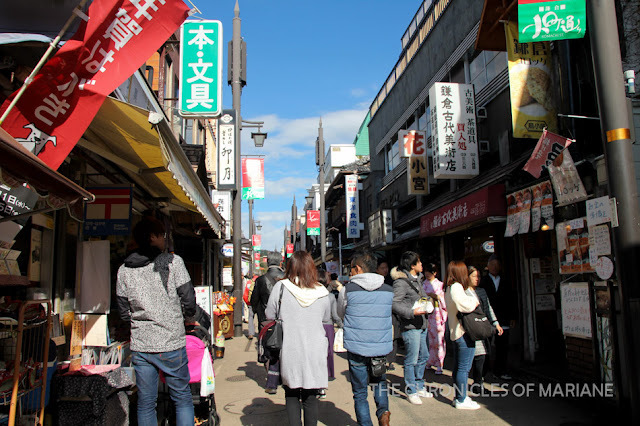 Even though I stayed in Tokyo for six days, I only spent half of it in the city and I ventured to towns that Tokyoites frequent when they are eager to get outside the capital. I first went to Nikko famed for its shrines which I failed to fully explore, but on the upside, I was able to soak in some nature-filled scenery. 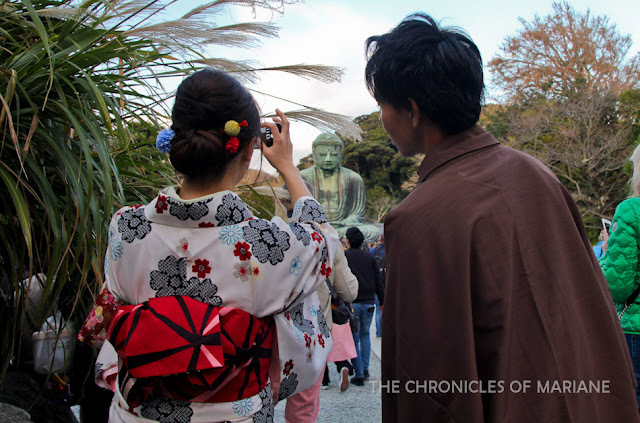 On a busy Sunday, I decided to take the train to Kamakura to do more laid-back sightseeing. 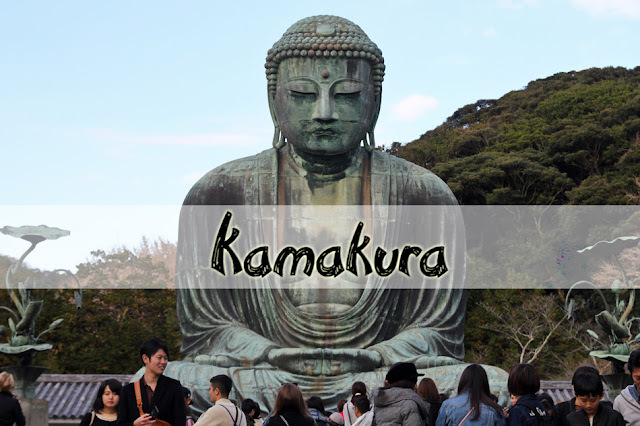 Situated among the hills of Miura Peninsula of Kanagawa Prefecture, the coastal town of Kamakura is well known for its elaborate history being the feudal capital during the 12th and 14th century starting from Minamoto Yoritomo’s leadership. It draws a big crowd of tourists for its numerous shrines and temples. 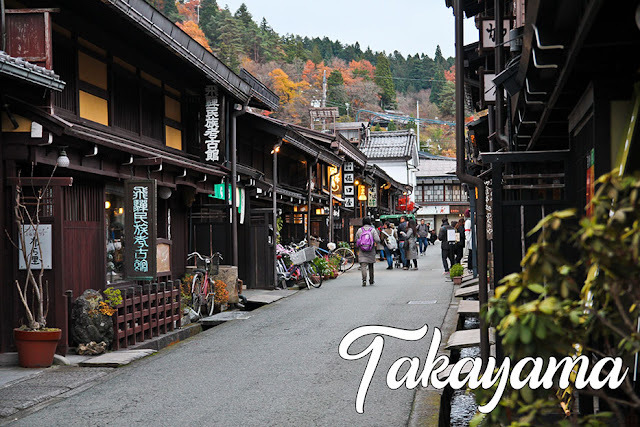 It looked like the perfect place to spend a lazy afternoon so I did not hesitate to mark it as my next destination. The most efficient mode of transportation for budget travelers is to take the train. 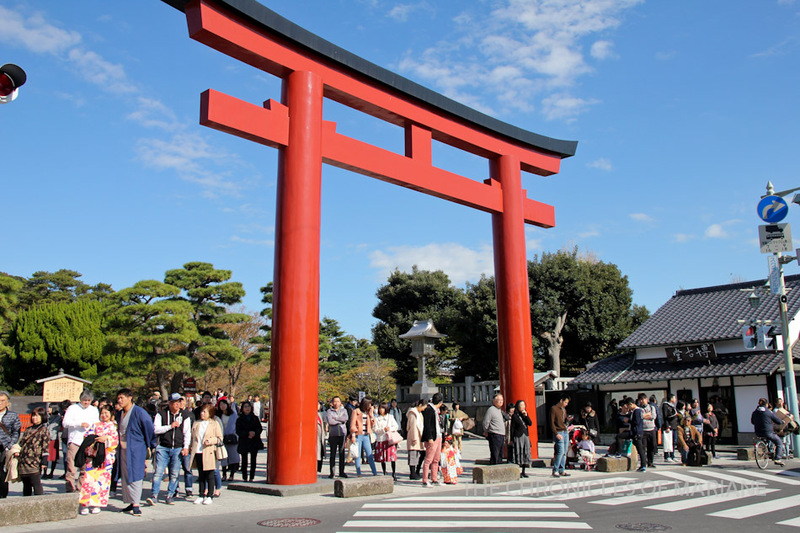 JR-pass holders are able to utilize the JR Yokosuka Line to Kamakura Station which takes an hour or so from Tokyo. 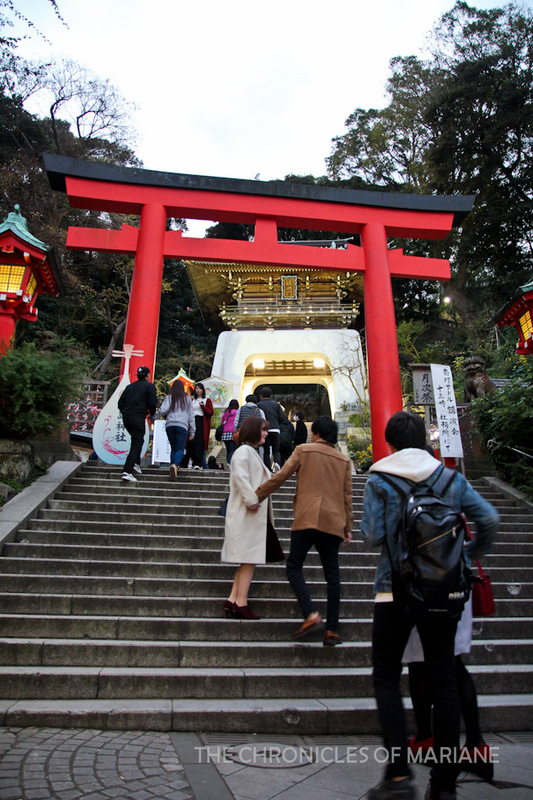 For those who opt not to get the JR pass but still want to visit Kamakura, there is the affordable Enoshima Kamakura Pass sold for 1,470 yen by Odakyu Railways. This can be bought at Odakyu Sightseeing Service Center in Shinjuku Station West Exit and also at other Odakyu Stations. The pass covers the round trip from Shinjuku to Fujisawa Station. 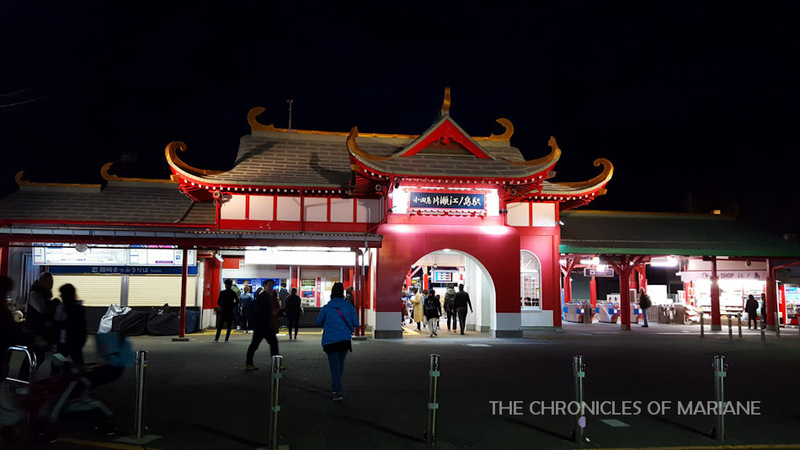 You would also have the unlimited use of Enoden trains from Fujisawa to Kamakura, as well as the rides from Fujisawa to Enoshima using Odakyu trains. Majority of Enoshima’s tourist spots are accessible using Enoshima Electric Railway or Enoden for short. It starts all the way from Fujisawa and ends at Kamakura Station. 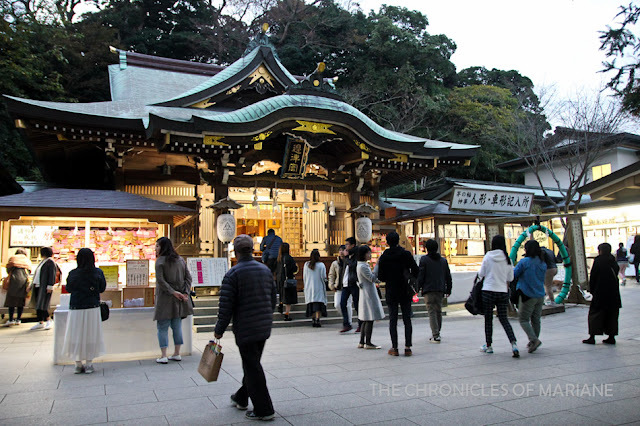 From the Enoden stations, you might need to walk to temples or shrines, but you will not get bored along the way as you’ll get to see different shops offering snacks, souvenirs and Kamakura-specialties. It was a very packed train from Enoshima due to it being a Sunday and a huge number of families celebrating the Shichi-go-san festival (a cultural tradition I first witnessed at Harajuku). I would suggest taking the Enoden from Fujisawa instead if you want to secure a seat. 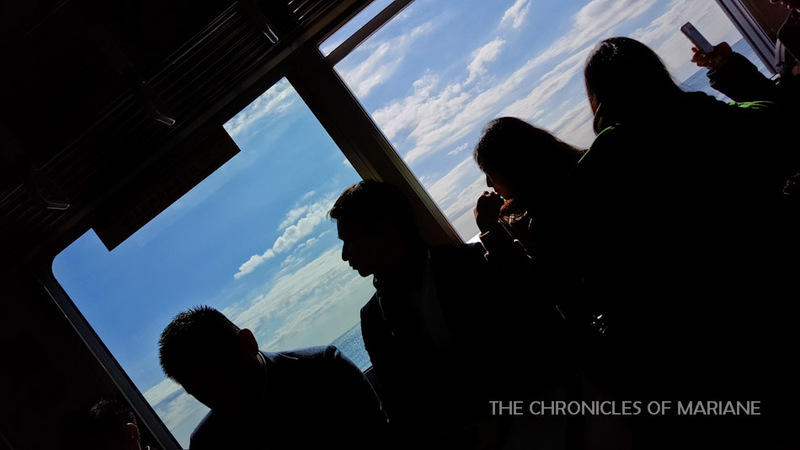 Despite being squeezed in a tight space, the ride was enjoyable passing through beaches as well as getting a glimpse of Enoshima Island. 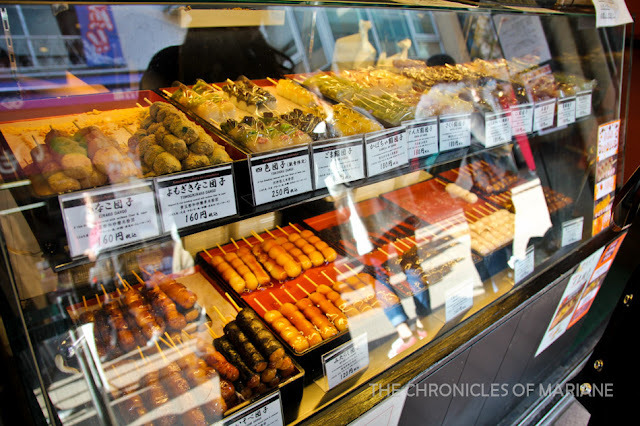 From Kamakura Enoden Station, I decided to pass by the crowded Komachi-dori Street and sample some snacks sold at souvenir stores. Some of the popular choices here are dangos and peanuts coated with crunchy wafer covered in assorted flavors. Majority of these shops allow free samples, so you can try which ones you like before buying anything. My favorite from these bunch is the apple flavor. The Tsurugaoka Hachimangu Shrine is a landmark dedicated to Hachiman, the patron god of Minamoto clan and has a long history dating back from its erection in 1063. 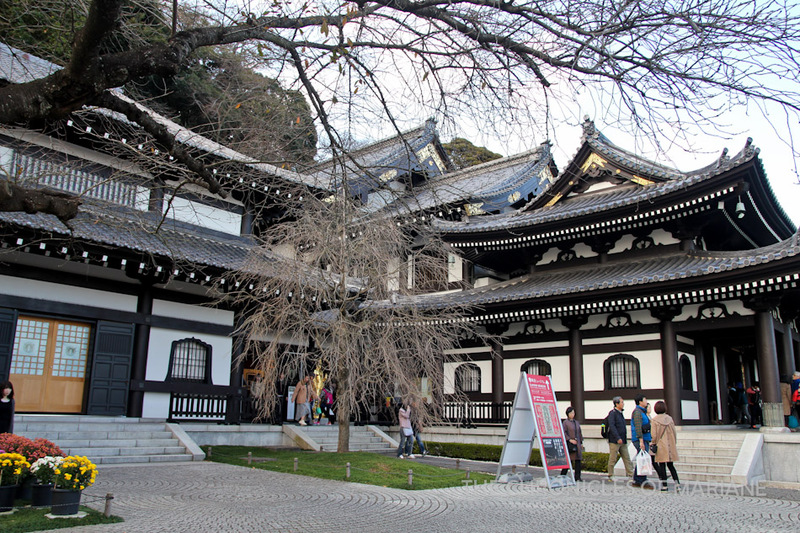 This is considered as Kamakura’s most important shrine where locals celebrate occasions such as hatsumode and weddings. 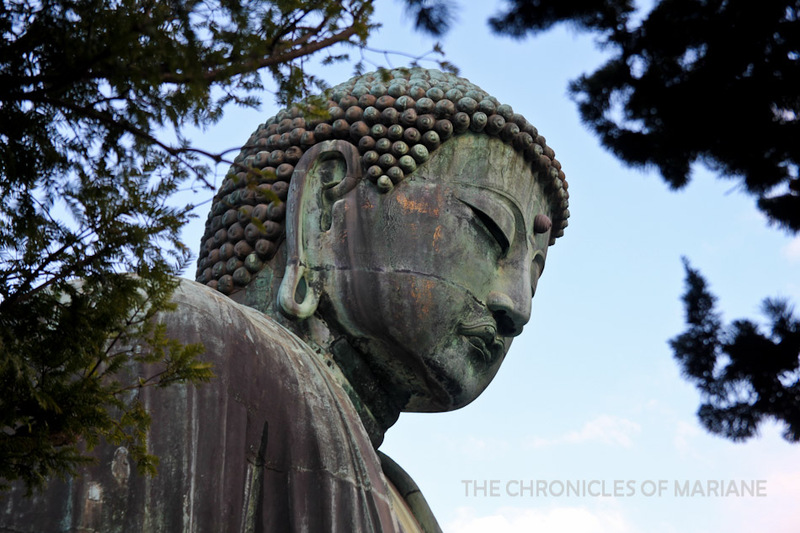 Afterwards I headed to Hasedera Temple known for its gigantic 9-meter 11-headed statue of Kanon. 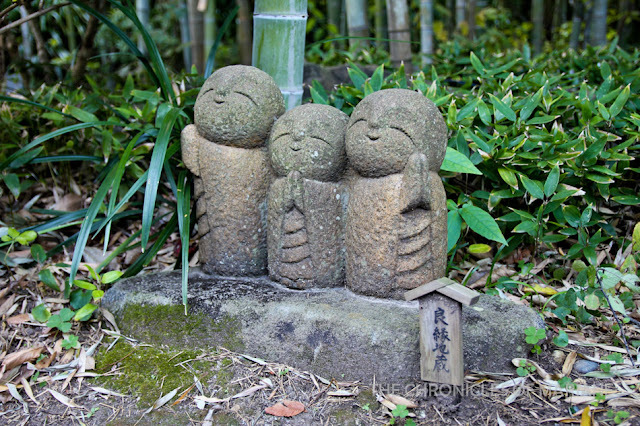 Similarly, I also enjoyed looking at the smaller jizo statues that are scattered along the slope leading to the main hall. There is also a small cave called the Benten-kutsu cave that houses statues of the deity called Benten, goddess of good fortune and knowledge. Aside from that, there is a nice view deck of Kamakura’s coastal area so you can get a nice panoramic view of this nice quaint town. 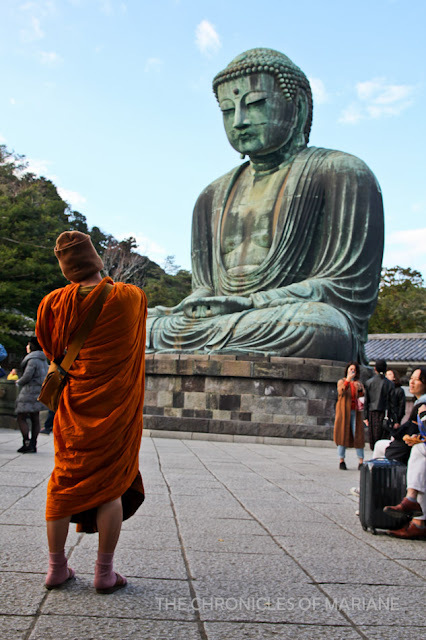 Almost synonymous with Kamakura is the Daibutsu or Great Buddha that can be found at Kotoku-in Temple, a few meters away from Hasedera. Standing tall at 11.4 meters, this 121-ton giant is the second tallest bronze statue in Japan (the #1 placer I also saw during the latter part of my trip). 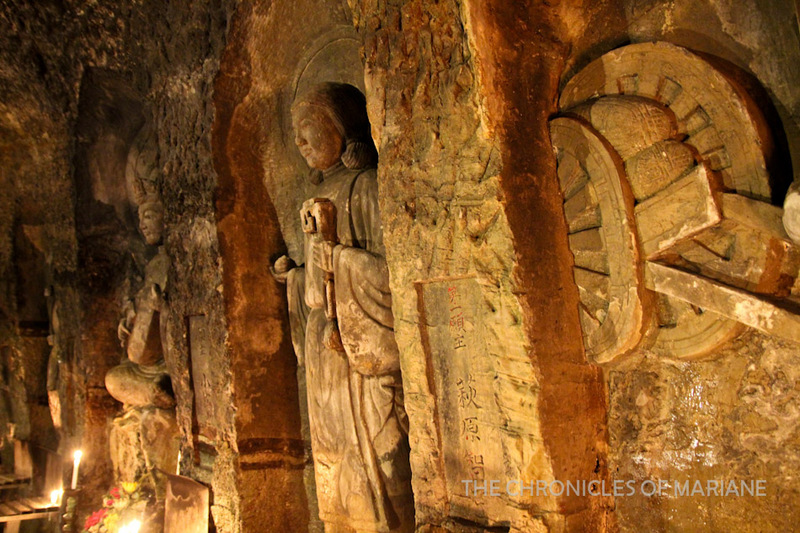 Interested to see the “insides of Buddha”? Well, there is a small opening in this statue and they will let you enter for a small fee of 20 JPY. I was a bit late to try and catch the sun setting at one of the beaches of Kamakura, hopefully at Yuigahama Beach which is popular with windsurfers. 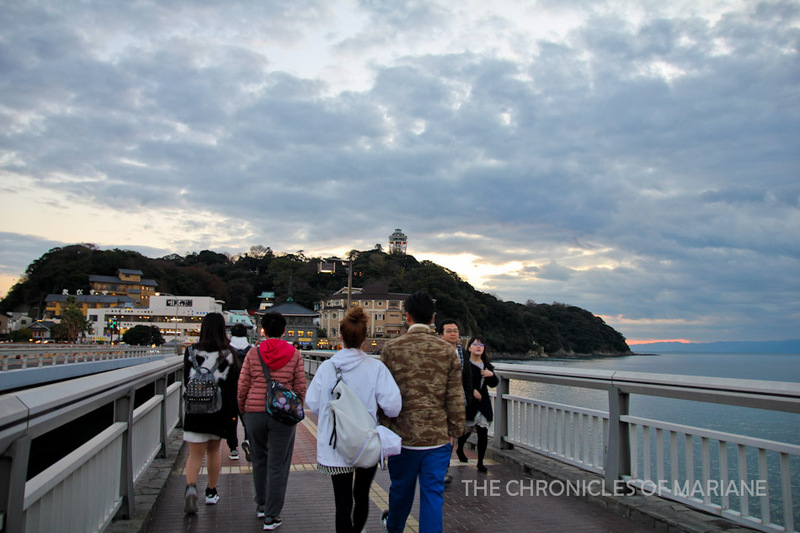 I just ditched the idea and went straight for Enoshima Island as it was already going dark. I was just walking aimlessly, looking at souvenir shops and restaurants when I noticed a path going to Enoshima Shrine also built in honor of Benten. Legends say that she was the one who built the island after a fight with a five-headed dragon. 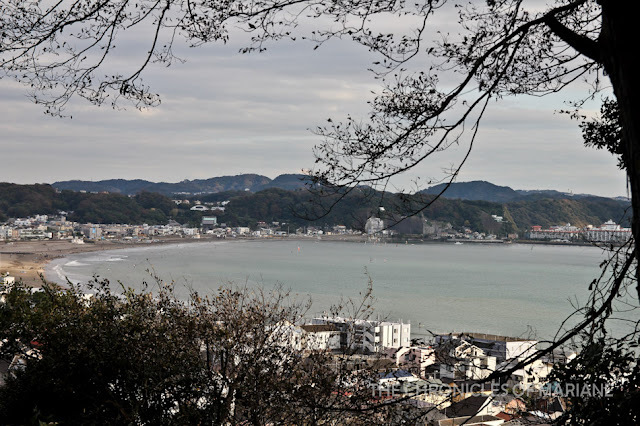 If there was still enough sunlight, I would have loved to just walk along the coastline and look at the ocean, which seemed to be a popular activity here in Kamakura. 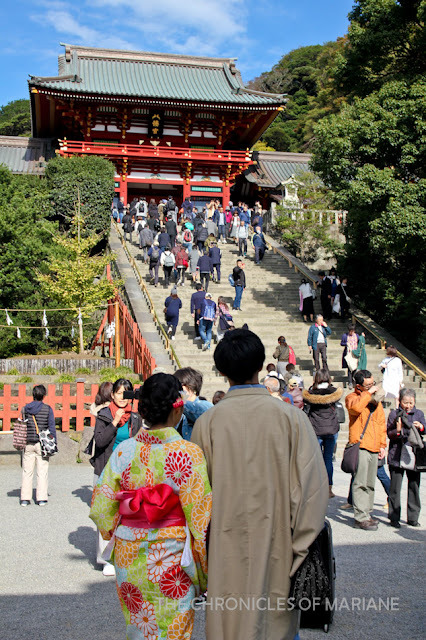 If I have woken up earlier and planned better, I could still probably squeeze in Hokokuji Temple (famous for its bamboo groves) or try one of the beautiful hiking trails connecting different temples around Kamakura.